Inspired by the James Baldwin essay "The Artist's Struggle", the evening length work Rhapsody: A Poetic Movement brings to physical life the words of selected poets, past and present. The central question focuses on 'what is the role of art in your life/your community? "This poignant evening of art engages the audience in an interactive experience, being part of the creative process by writing a haiku to express the impact of art on their lives. This is the finale of the concert "In the Company of Men...". After a rich program of male dance and photographic art, I wanted to bring all the men into the space at the same time. Powerful! I created an improvisational structure with individual expressions of masculinity. This structure followed my ending solo "Seeds". Music created and performed by Shodekeh (beatboxer). New Works and Collaborations 2016-2018"iWitness" - the Solo Project"In the Company of Men..."Rhapsody: A Poetic Movement"Bow" (a working process)"Shadows" "Occupy""Grandmother Project Baltimore""Witness"
Within the past few years, I have collaborated with several artists- musicians, composers, poets, animators, and performance artists. 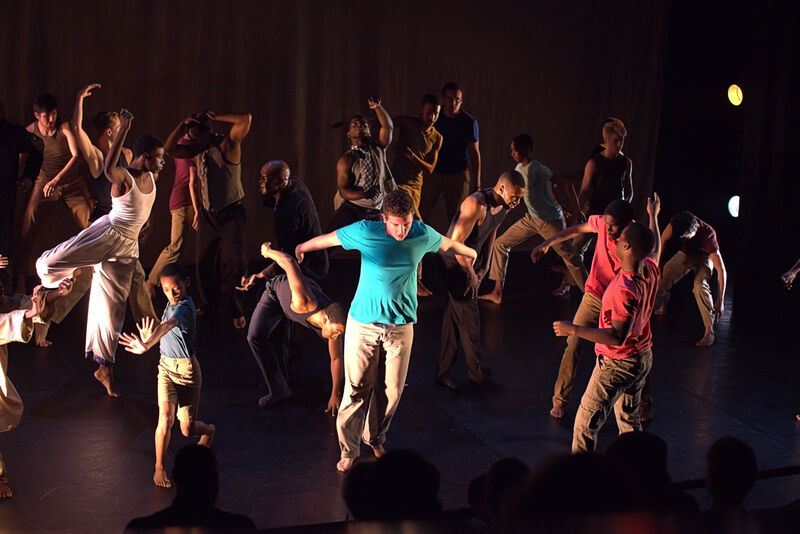 These are rich opportunities and are grounded in the mission and vision of VTDance/Vincent E. Thomas. These collaborative efforts continue to feed and broaden the range of artistic work. Here is a sampling of projects over the past few years that continue to develop. Vincent E. Thomas looks through the lens of Marvin Gaye’s transcendent music and finds a reflection of the world today. 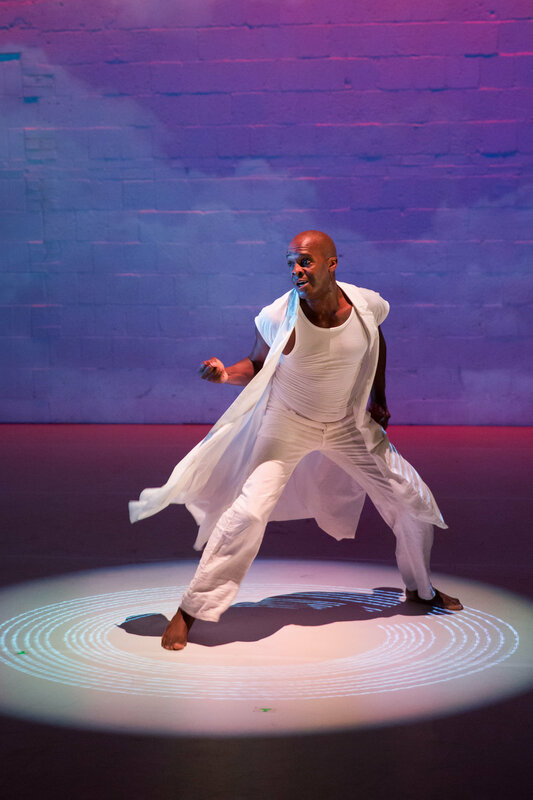 Taking inspiration from 1971’s inimitable What’s Going On, Marvin Gaye’s insights into life, love and social justice are given fresh perspectives with new choreography by Vincent E. Thomas (Artistic Director), and co-choreographers Ralph Glenmore and Sylvia Soumah. 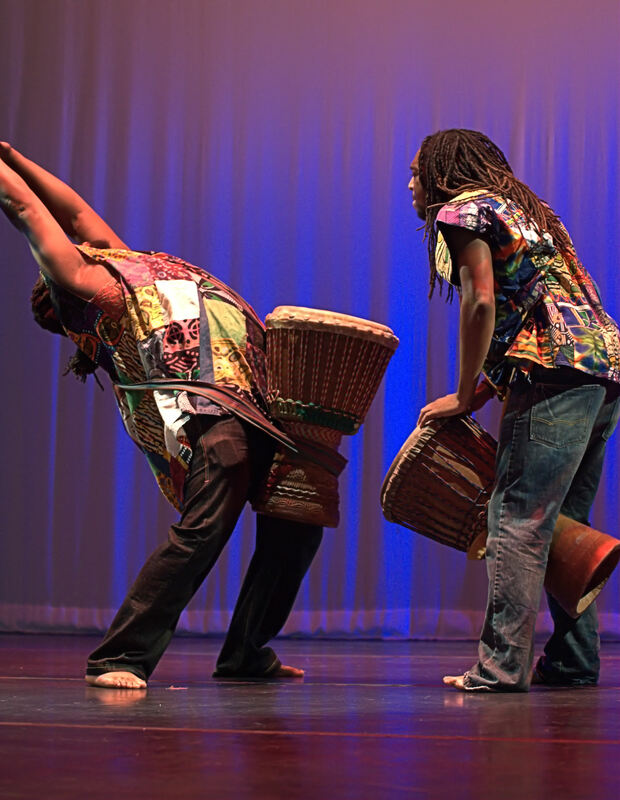 This evening-length work features Modern, Jazz and West African dance. What’s Going On seeks to provoke thoughtfulness and spark conversations to ignite change in each community it touches. 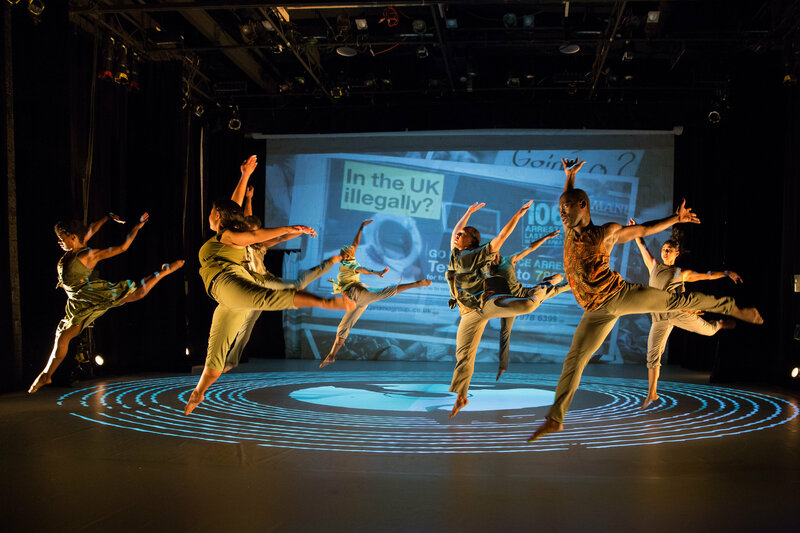 The work premiered at Dance Place in Washington, DC in November 2016 and is currently touring the states. The work has been performed in Virginia, South Carolina, Montana, Ohio, Delaware with SOLD OUT shows in most venues. F.E.A.R. 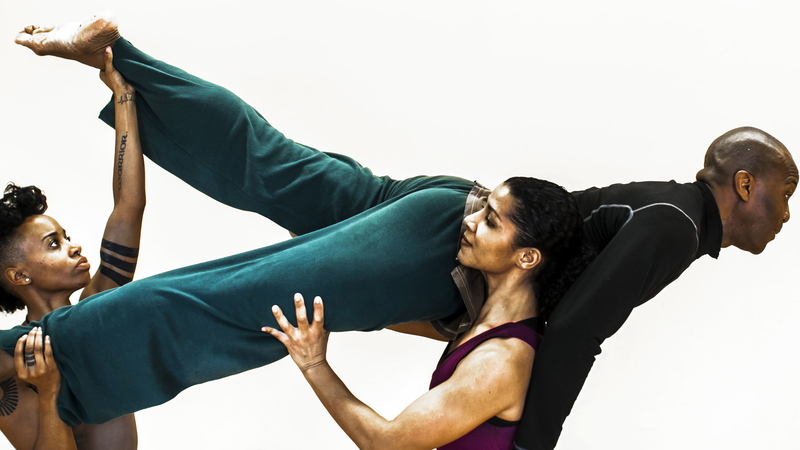 is a work-in-progress and an international collaboration between the dance artists Annika B. Lewis – based in Copenhagen/Denmark and Vincent E. Thomas – based in Baltimore/U.S. 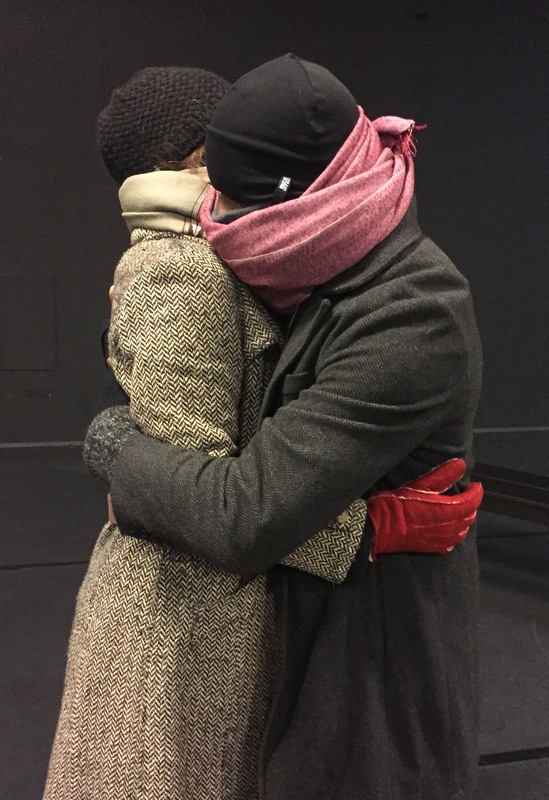 The performance explores the political, social, cultural, economic, emotional, physical, medical, healing and even comical aspects of fear, and the similarities and differences of the embedded nature of fear in Denmark and the United States. This multi-year collaboration was initiated in 2015 with support from The DIVA program/ The Danish Arts Foundation, Kassandra Production and DanseHallerne in Copenhagen. 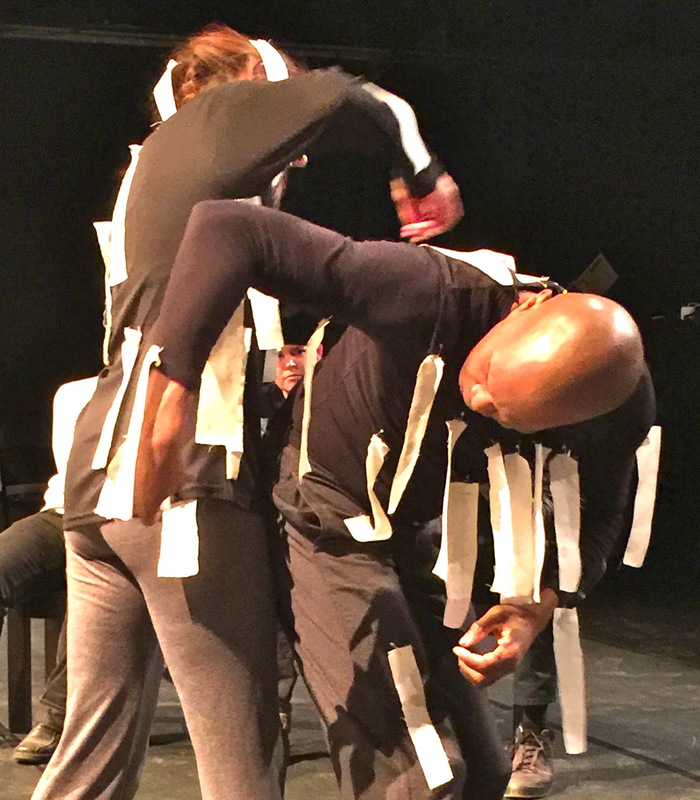 The work premiered in Copenhagen, Denmark in January 2016 at DanseHallerne and in the Baltimore, MD in February 2016 at Baltimore Theatre Project. Given the social climate in our global society, the artists are planning upcoming tour dates. ​This project was a re-imagining of the award winning solo "Prelude/Frustration". 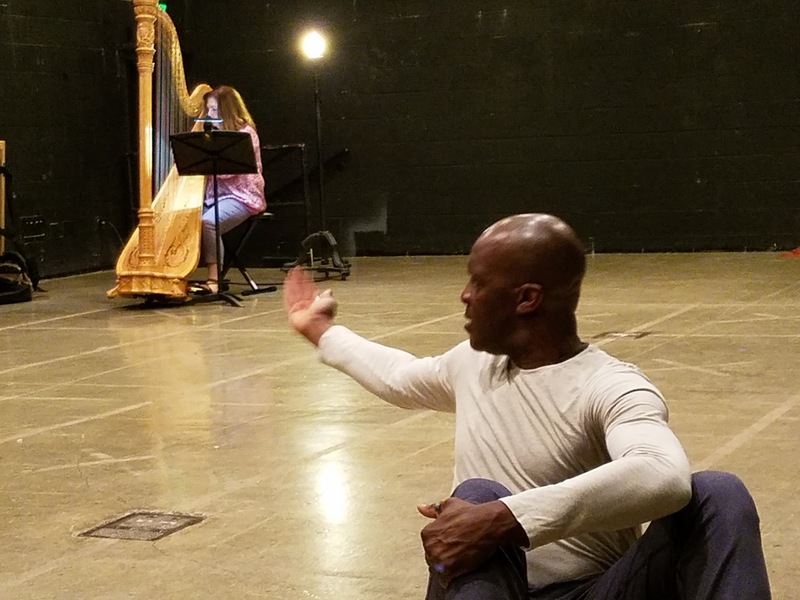 This collaboration was with Elizabeth Richter (harpist) from Ball State in Muncie, Indiana and Andre Gaskins from Indianapolis Symphony in Indianapolis, Indiana (cellist). The work premiered for the opening ceremony of the 2017 Music for All Summer Symposium at Ball State University. I continue to revision the solo with a range of musical artists and instrumentations. 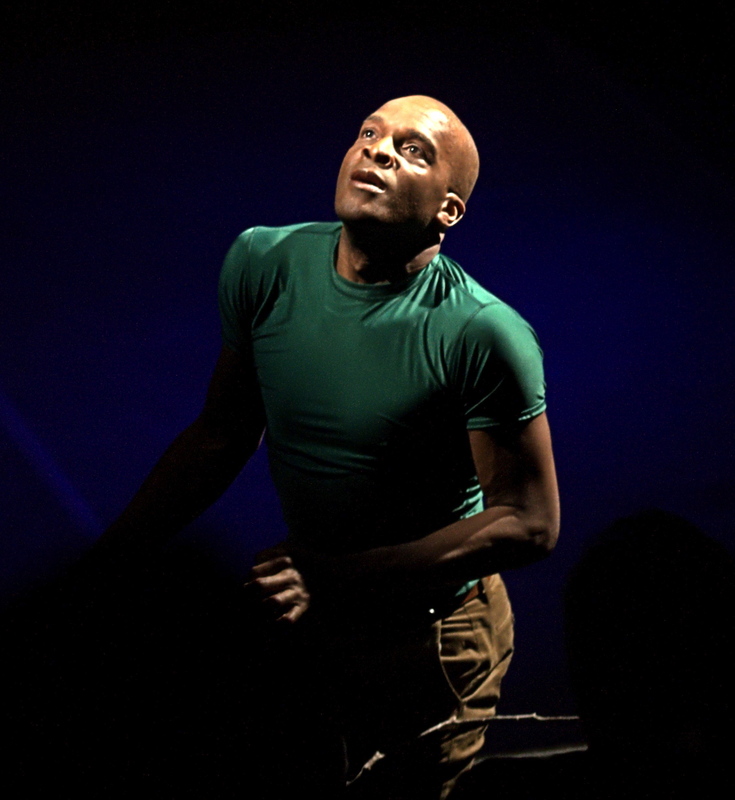 Vincent E. Thomas in "Prayer"
Vincent E. Thomas contemplates acts of humanity in a deeply moving, multi-layered solo work. "iWitness" explores simple truths in human behaviors and implied truths in human documents from the Pledge of Allegiance to the Universal Declaration of Human Rights . "iWitness" studies and challenges the ideals we seek and attempt to follow. The solo includes "Render and Proceed" which investigates the convolution of media and its effect on the human condition and society; and "Come Change" shuffles stories of the past and present for a hopeful tomorrow. I am deeply interested in creating art that reflects and poses questions about humanity, our values- personally and communally, and our desire to live in a better place/world, while realizing our role/what it may take to exist in that place. Many of these questions surfaced over the many years of making art and heavily informed, shaped, and focused my artistic and life view. This work, which grew out of a much larger work, is the result of a persistent investigation of these questions. The initial seed of an idea was about questioning my reaction to an interaction with a homeless person. This interaction troubled me to my core. I began peeling back the onion layers and the excavation led me to questions about documents that govern us and how these are instilled from such an early age. If only I had these questions as a child instead of just learning to recite statements that had no deep or clear meaning and real application to my life. Through this journey of creating and performing this solo work (and the group work 'Witness'), I understand the world I live in and the role I have in creating a more human conscious space. 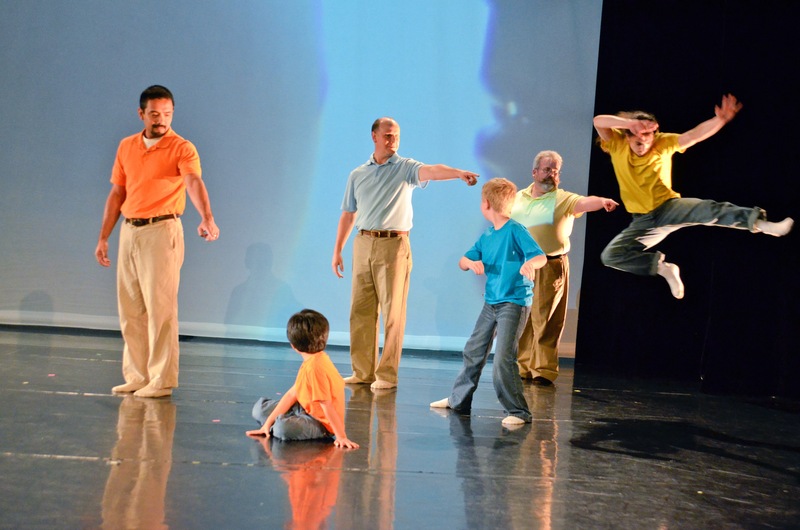 "iWitness" is based from the larger group work "Witness" which was commissioned by the John F. Kennedy Center for the Performing Arts as part of 2008 Performing Arts for Everyone and the Millennium Stage. 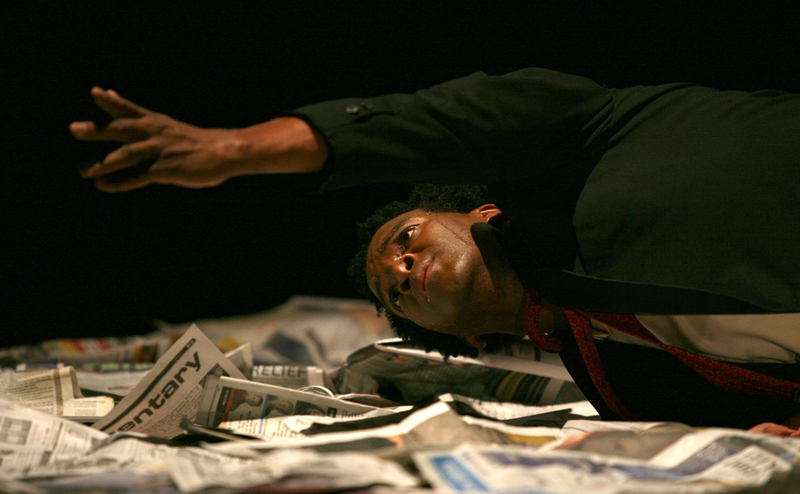 The full performance of "iWitness" at the 2014 Edinburgh Fringe Festival in Scotland. It was quite powerful to perform the work in a community that was going through many questions about their existence as a community and how to proceed with standing as a country. The work provoked many exciting and much needed conversations for the Scots. 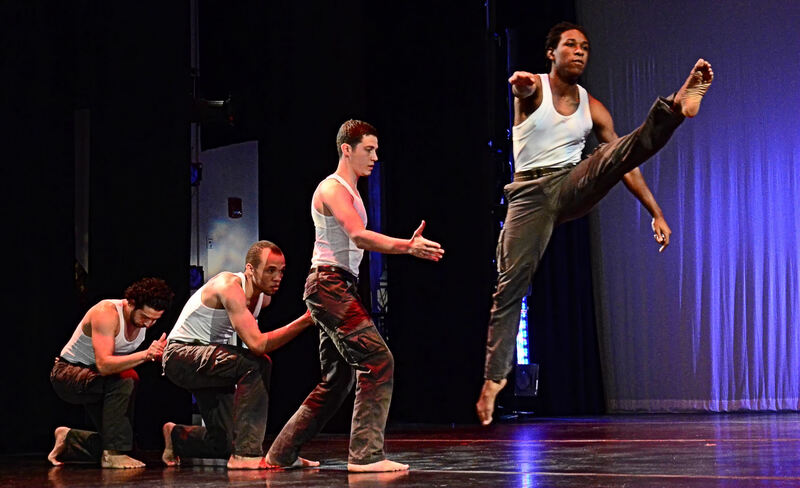 "In the Company of Men..."
In the Company of Men...(2016) is an evening of dance art embracing themes of masculinity, life, love, social awareness, and human-ness. With a talented cast of all men, I brought to the stage many perspectives on life through the physical work of the male body. The artistic range of the works is bold and impressive, featuring excerpts from Same Stories, What’s Going On, On the Shoulders of Giants, and other new works. With this concert (and subsequent concerts in this series), I am interested in showcasing and embracing the range of male-ness in our society, through movement, spoken word, music, and visual art. It was a powerful evening- men of all ages, backgrounds/cultures, physical levels, and expressions, coming together in a common effort. This concert series is connected to my masculinity workshops for 'Fathers, Sons, and Other Guys'. This workshop excavates the term masculinity, in an effort to define, re-define, shatter, and rebuild what this word means to ourselves and in our community. This work is crucial as men constantly find themselves under the radar and challenged in society. Through this effort we understand ourselves more deeply. Part of the artist journey that informs the many ways of celebrating men and the range of masculinity, I conduct these 'Fathers, Sons, and Other Guys' workshops all over the country and internationally. Workshops have taken place in Baltimore City, Baltimore County, Washington, DC, Seattle, WA, Copenhagen and Aarhus, Denmark, with continued and additional sites in the works. This solo "Bow" is part of a larger evening length work called "Same Stories-Different Countries". The premise of the work looks at hunting and gathering as a seed and jumping off place. During my research I ran across an article about the Botswana Bushmen seeking help to overturn new laws threatening their tribal culture in and near the Kalahari Desert. These laws would move them from their ancestral land because of their survival practices (hunting and gathering). "My Funny Valentine" is an excerpt from a much larger evening work titled 'What's Going On', the Marvin Gaye Project. This work looks at life, love, and social justice through the musical lens of Marvin Gaye. After reading a great deal about the life of Marvin Gaye, Jr., I created this emotional and heart-felt solo and trio. In the Company of Men- "Let Us Unite..."
"Let Us Unite..." is a male ensemble work that grew out of a recent masculinity workshop with my male dancers. this empowering view and statement about men and our role in today's society is supported by the historic speech of Charlie Chaplan from the movie The Greatest Dictator. The words are relevant even still. 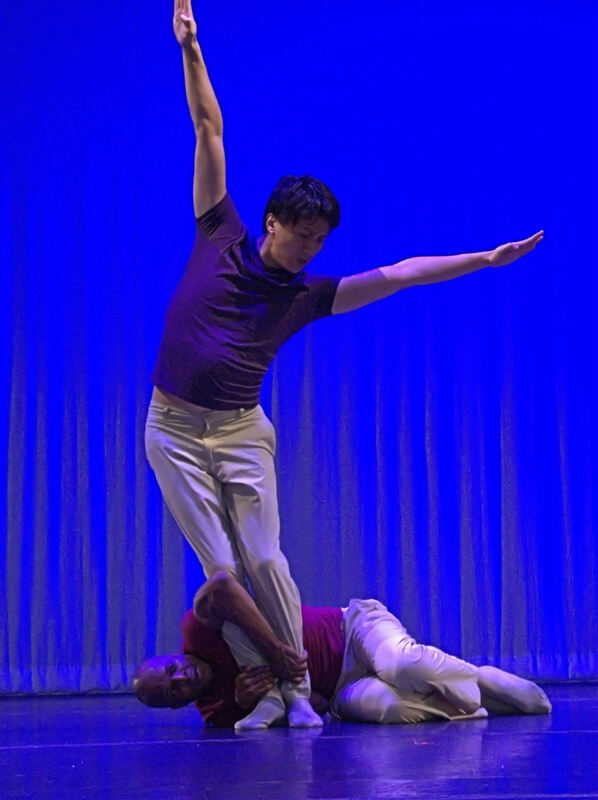 In the Company of Men- Excerpt from "On the Shoulders of Giants"
"On the Shoulder of Giants" is a monumental work choreographed by the legend Mr. Clay Taliaferro (former principal dancer with Jose Limon). Mr. Taliaferro and I worked with the young boys of the Estelle Dennis Boys Dance Division at Peabody for an exciting residency in the fall of 2014. 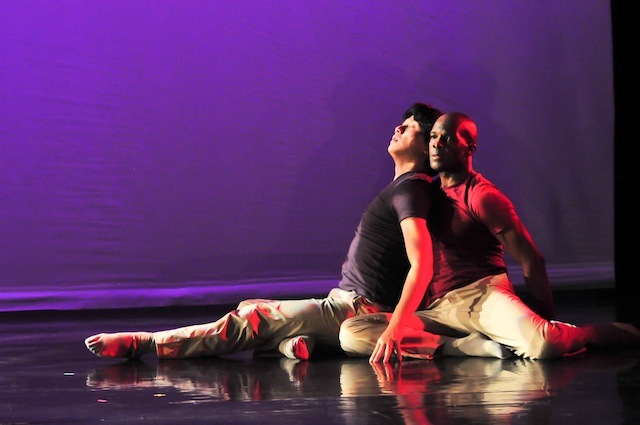 The inspiration for the work are dance legends and icons who have paved a path for men dancing today. After the initial residency, Mr. Taliaferro entrusted me to continue deepening the work with the boys through the completion of the performance timeline. 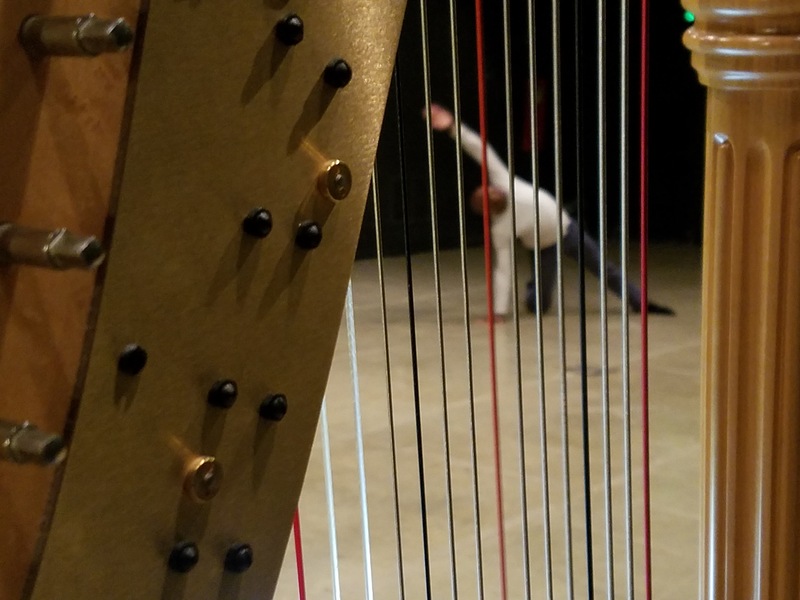 Rhapsody: A Poetic Movement (January 2015 residency). Rhapsody: A Poetic Movement Choreography & Direction: Vincent E. Thomas Lighting Design: Leigh A. Mumford Collaboration: Maria Bauman and Michelle Antoinette Nelson Music: George Gershwin, Alec Trumble, Margret Bonds Vocals: Adia Evans Scenic Prop: Joe's Movement Emporium Text: Maya Angelou, Joyce Kilmer, James Baldwin, Langston Hughes, Michelle Antoinette Nelson The Clarice Smith Performing Arts Center partnered with Joe's Movement Emporium in Mount Rainier, Maryland to offer a new incubator series called NextLOOK for both locally-based and touring artists who want to develop new work with input from the community. 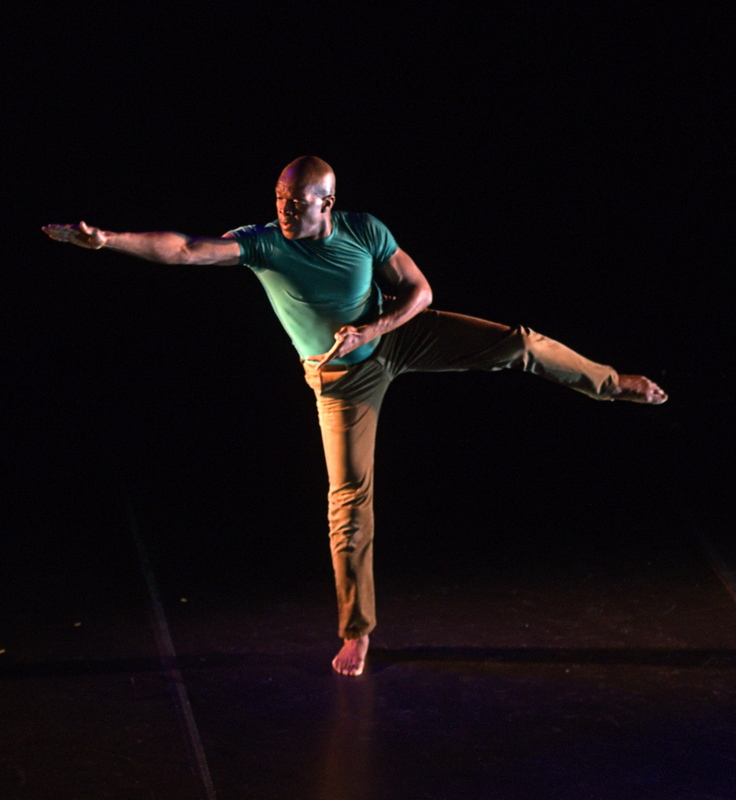 Vincent E.Thomas/VTDance was one of the NextLOOK artists in the season’s inaugural series and we were thrilled to have been able to support the development of Rhapsody: A Poetic Movement. With this section of the work, I wanted to bring to life the poetic voices of selected audience members. During the interlude, the audience was engaged in a dialogic process and they ended by writing a haiku based on a early memory of the impact of an artistic event on their life. They were also asked to physicalize an idea from the haiku. Maria and I used an improvisational structure to bring to moving life their haiku incorporating their movement gesture. Choreography & Direction: Vincent E. Thomas Original Lighting Design: Leigh A. “Bow” (a working process solo) is part of Same Stories- Different Countries, a multidisciplinary/transdisciplinary project, providing an artistic venue for researchers, artists, and participants to illuminate South Africa and United States historical and contemporary racial issues. The project will premier at the University of Delaware in March 2016. The solo consist of set choreography and part unknown. I gather personal stories and gestures from the audience and the gestural movement fills in the blank of the unknown physical section. 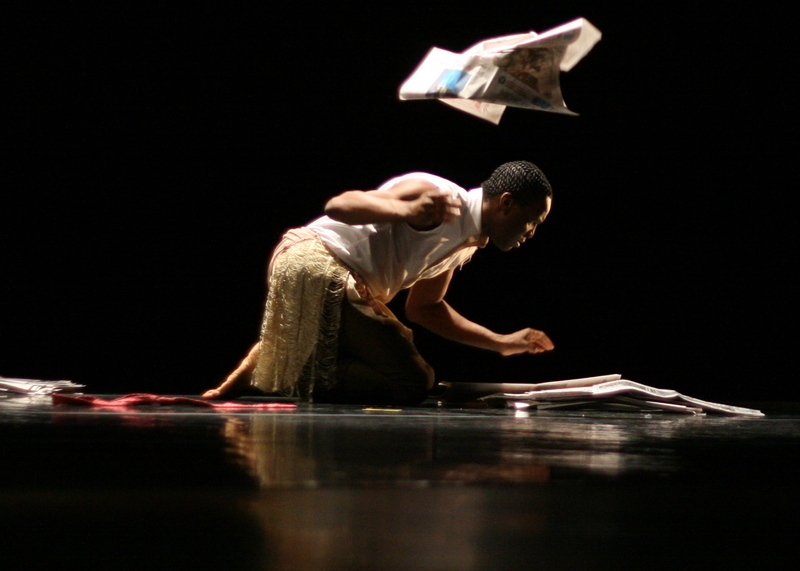 The audience is able to see in real time the inclusion of their voice/stories/movement in the performance. This solo "Bow" is part of a larger evening length work called "Same Stories-Different Countries". The premise of the work looks at hunting and gathering as a seed and jumping off place. During my research I ran across an article about the Botswana Bushmen seeking help to overturn new laws threatening their tribal culture in and near the Kalahari Desert. These laws would move them from their ancestral land because of their survival practices (hunting and gathering). The Bushmen said: "If you deny us the right to hunt, you are killing us." I was so moved by this impact on a community- a culture. I began to reflect on my past experiences and within the performance process pose questions to the audiences about when in their personal culture and community do they hunt and gather. The solo begins, as research continues- considering definitions, asking questions, 'hunting and gathering' personal stories from the audience, and then folding these findings into the performance. Though seventy-five percent of the solo is defined and choreographed, the other twenty-five percent is gathered from the audience and incorporated on the spot. Each performance is different based on what is gathered. 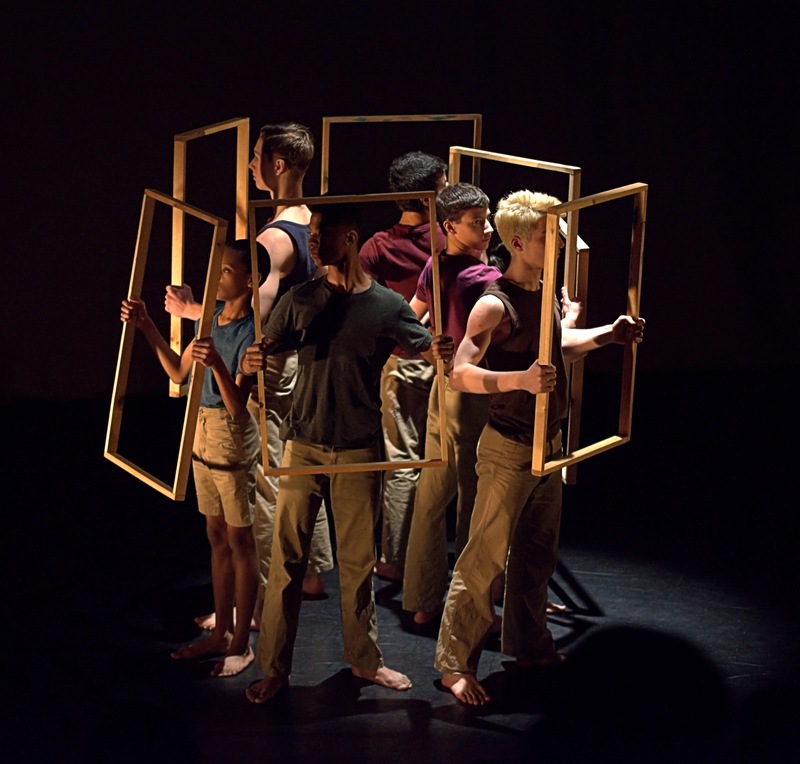 I have found this to be a rich experience for the audience and it gives them insight on the choreographic and research process by including their stories and taking them on the journey. 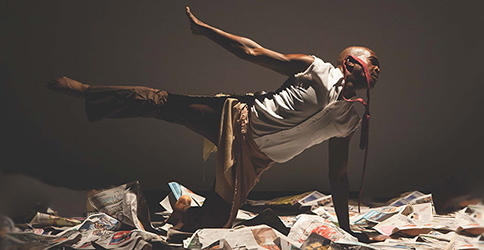 A multidisciplinary, global engagement production with original music, artwork, poetry and choreography, will reveal similarities and differences between South African Culture and United States Culture. 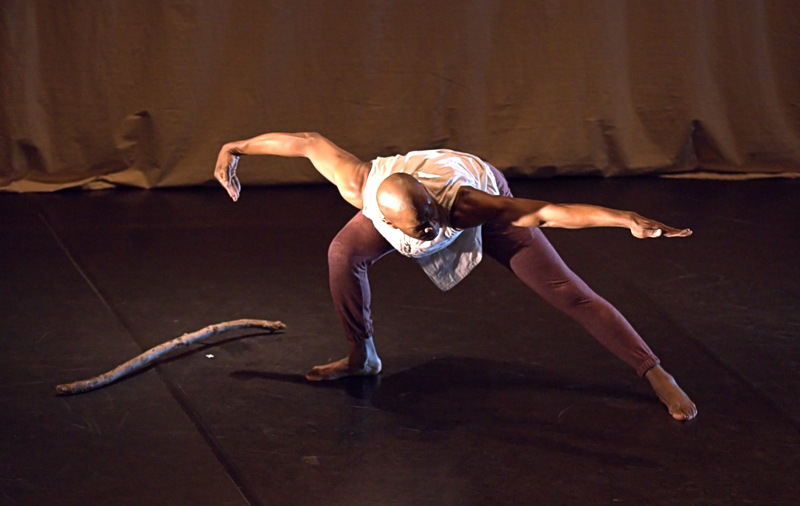 The long-range plan for this and previous projects involves the development of interconnected multidisciplinary performances that includes literature and the arts. We engage audiences who attend and view the production and promote the development of knowledge and skills in students who are involved in the creation of the production and in the follow-up educational activities. 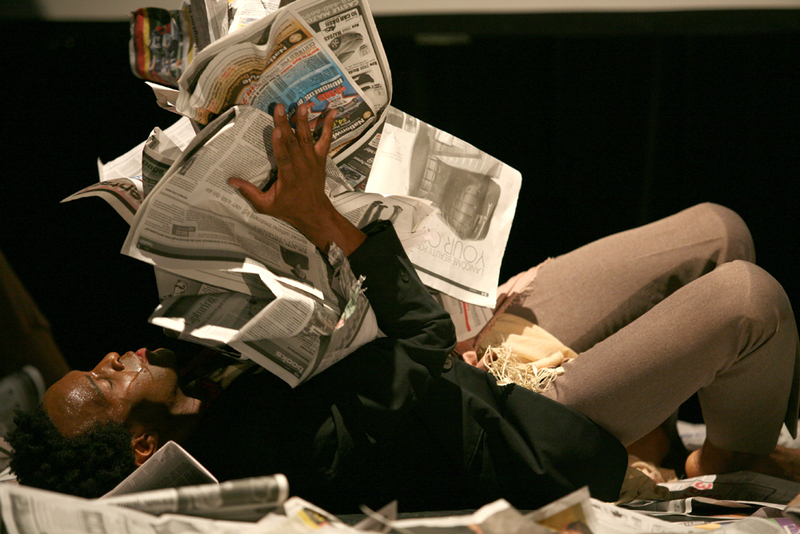 As a truly multidisciplinary/transdisciplinary research project, it engages archival historical and literary research, creative writing by scholars and poets, original music created in collaboration with other team members and the creation of performance pieces that incorporate visual artists and the production of media work that circulates in digital and academic spaces. An important goal of this project is to enable researchers, artists, and participants to transform and synthesize knowledge in ways that illuminate the consequences of historical, social and cultural practices of racial discrimination through an artistic lens. Vincent E. Thomas presents a most stunning work - "Shadows", exploring essences of masculinity/manhood through shadows of yesterday, today, and tomorrow. 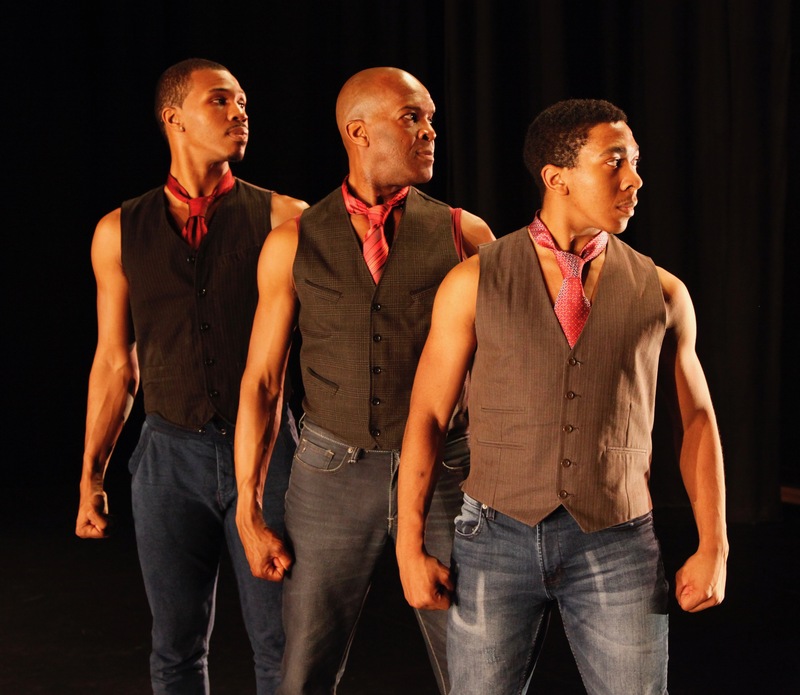 The work includes a cast of 19 men of various ages in a fusion of dance, theater, music, video/animation, comedy, and dialogue, exposing multiple expressions of truths, myths, and mysteries of masculinity. The development of this evening-length work was the springboard to my masculinity workshops for 'Fathers, Sons, and Other Guys'. Research for the work was through a process I developed called Table Talks, where participants discuss a "hot topic" through verbal dialogue, then is led through a process of physical dialogue. Participants discuss, listen, and speak their personal truths. The rich content is then filtered and shaped into the performance work. This workshop excavates the term masculinity, in an effort to define, re-define, shatter, and rebuild what this word means to ourselves and in our community. This work is crucial as men constantly find themselves under the radar and challenged in society. Through this effort we understand ourselves more deeply. With this concert (and most of my work as a teacher), I am interested in showcasing and embracing the range of male-ness in our society, through movement, spoken word, music, and visual art. It was a powerful evening- men of all ages, backgrounds/cultures, physical levels, and expressions, coming together in a common effort. The development process was over two years, holding workshops/Table Talks, listening to stories of men from various cultures, finding similarities and differences of experience and perspective on masculinity and manhood. 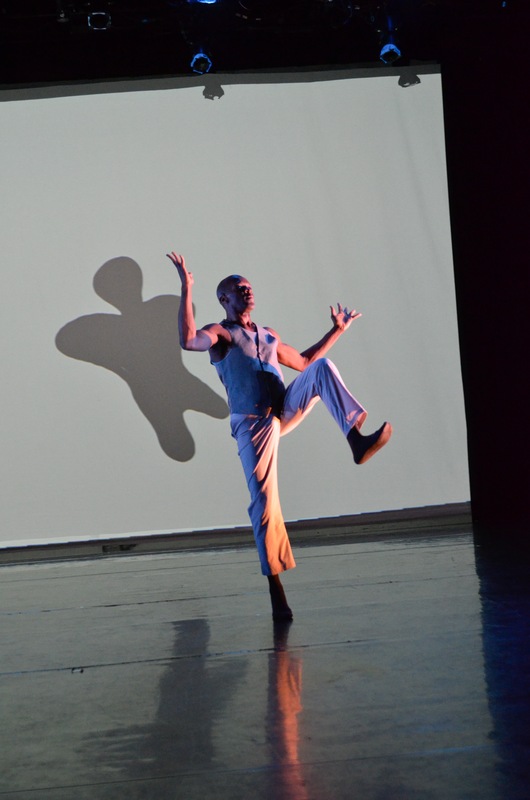 "Shadows" has led to my new performance series "In the Company of Men...", and has expanded my teaching research lens, focusing more on men dancing. *Note: The full performance of 'Shadows" can be seen in the online video archives for the Kennedy Center Millennium Stage (Washington, DC). 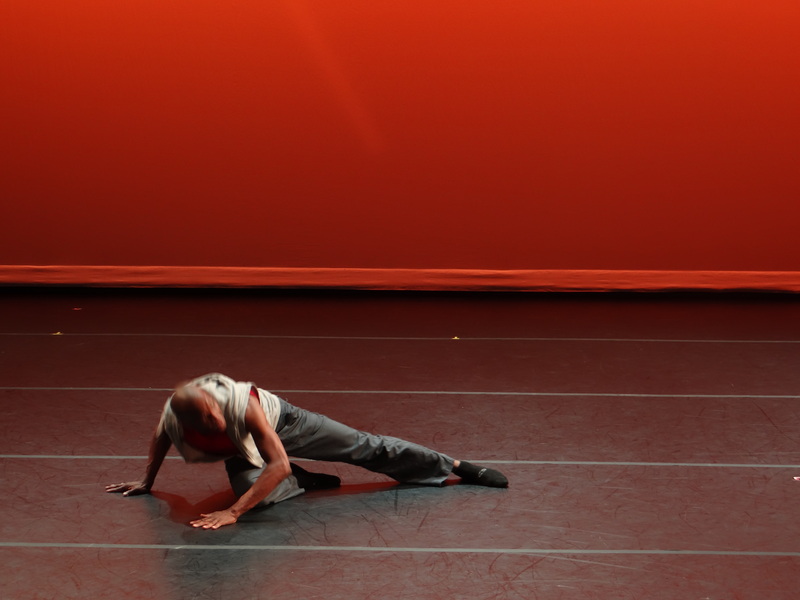 To view, please search on the Kennedy Center Millennium Stage site for Vincent E. Thomas/VTDance, June 12th, 2013. I am unable to include the performance link here. 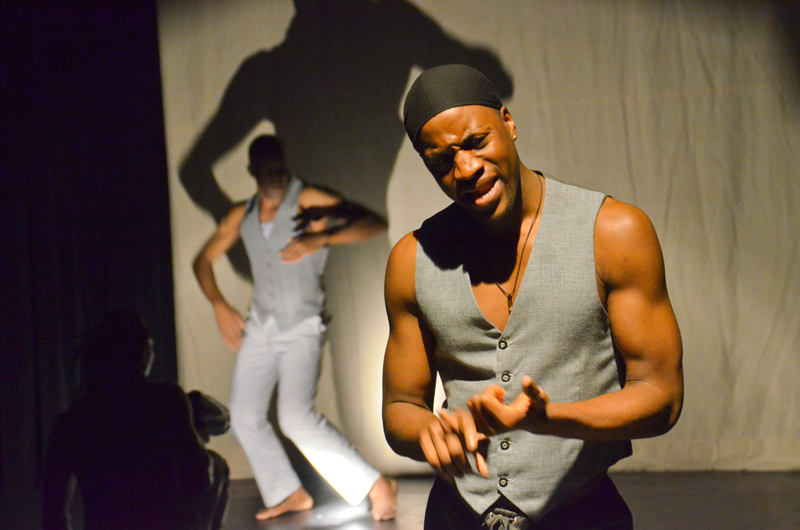 Choreographer/dancer Vincent E. Thomas describes his all male dance theater work "Shadows". 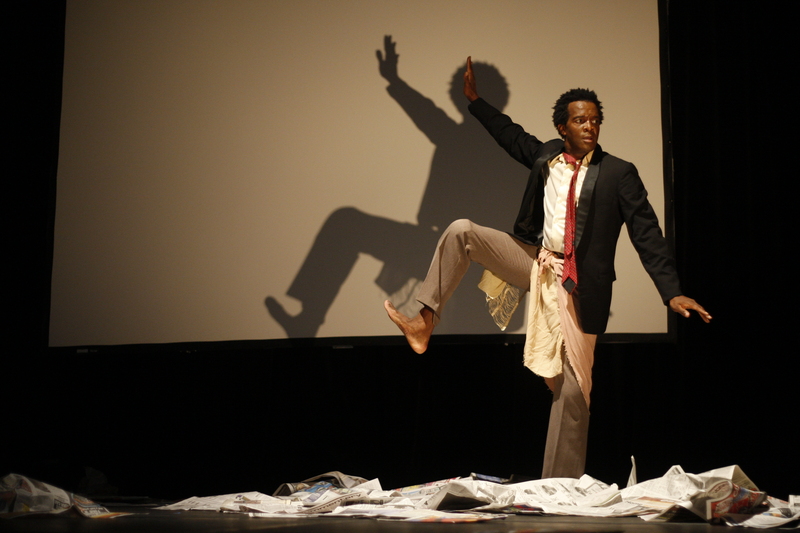 "Shadows" Solo- "I stand..." Duet- "Man's World" Performers: Vincent E. Thomas, Thomas L. Moore, Jr.
"Occupy" is a socio-political, daring and provocative work . This evening length work considers notions of how we inhabit or occupy space, what occupies our minds, what occupies our souls, and how these notions move us (a community/society) to make change…to move towards a revolution. This work was an extension of my initial questions for "Witness" and "iWitness". *This work was supported by the American Dance Institute (ADI) in 2013. I was an Incubator Artist for the first season of the award program. Daily I ask questions about being in the world, what informs this existence, and how to exist with others in a shared space. Internally I know that the work really starts within. This is a theme of my work, what is it that informs our humanity and what are our actions to live in a more human society. Take off your shoes You occupy holy ground. Sanctified by infinite heart beats of Sojourners, Pioneers, Natives, Immigrants Who learned to make a Way out of no way, who ground out life Liberty and happiness in cotton fields, Sweat shops and steel mills. Fresh off boats by free will or forced exile They consecrated space Made ghettos and shanty towns, The place where Dreams are born and culture is made. Take off your mask You occupy humbled ground. Worn down by man-made desecration Stumps where justice stood tall, Scarred earth flesh still yielding fruit With no distinction of the beggar and the baron. Equality bound and partially gagged Yet still cries out to be recognized and received By the mentally manipulated masses worshipping Technologically enhanced high definition westernized impotent idols. Take off your illusion You occupy sacred ground. We are the ones We have been hiding from. Buried deep inside each soul A piece of the collective solution An elemental antidote to disillusionment Unbuckle the attachment to apathy Freedom still waits by the riverside Peace flows in the desert Truth still rides in the morning The dawn draws near The dawn draws near Take off your shoes The place you occupy The being that you are The world that is The universe that will be Is still holy ground. What occupies your mind, what occupies your soul, how you occupy space...how these notions lead to change, and sometimes a revolution. Vincent's breath-taking work- Occupy will stimulate all of your senses. This project captures reflections and memories of loved ones through spoken text, movement, music, video and projected images. The creation process for this work is informed through community engagement activities, table talks, interviews, and creative explorations with young and old. I am very interested in people and their stories and how to bring those to life in art. 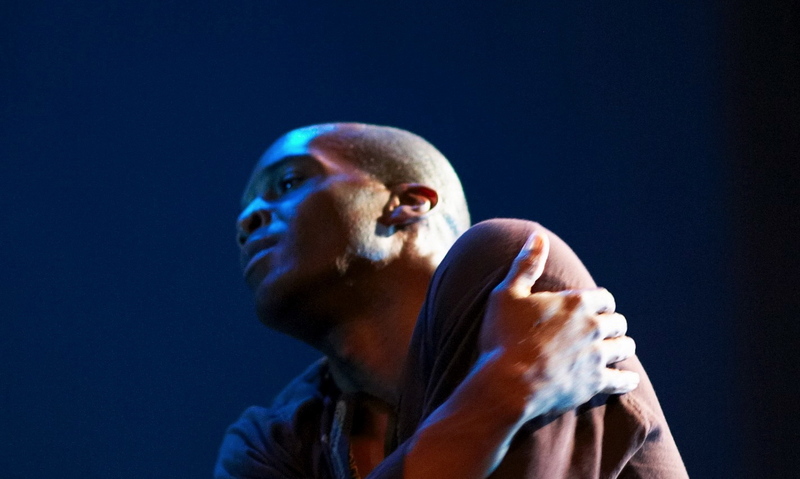 For Vincent E. Thomas/VTDance I want the work to be universal, tangible, and essential. This project is a bedrock for this mission. Over the course of 3 years (and more), I gathered stories from people all over the world about grandmothers. From the US to South Africa, Scotland to France, all stories (good and bad) held grandmothers with the highest esteem and praise. After the first performance of the project, the stories continued to come. When I moved to Baltimore, I added to the base of the work to create a "Grandmother Project Baltimore". Featured performers were: Linda-Denise Fisher-Harrell (former principle dancer for the Alvin Ailey American Dance Theater), Steven Satta-Fleming (actor and colleague), dancers from the Morton Street Dance Center, Adia Evans (BSA vocalist), and Sharon Chaiklin (Dance Therapist and elder dancer). 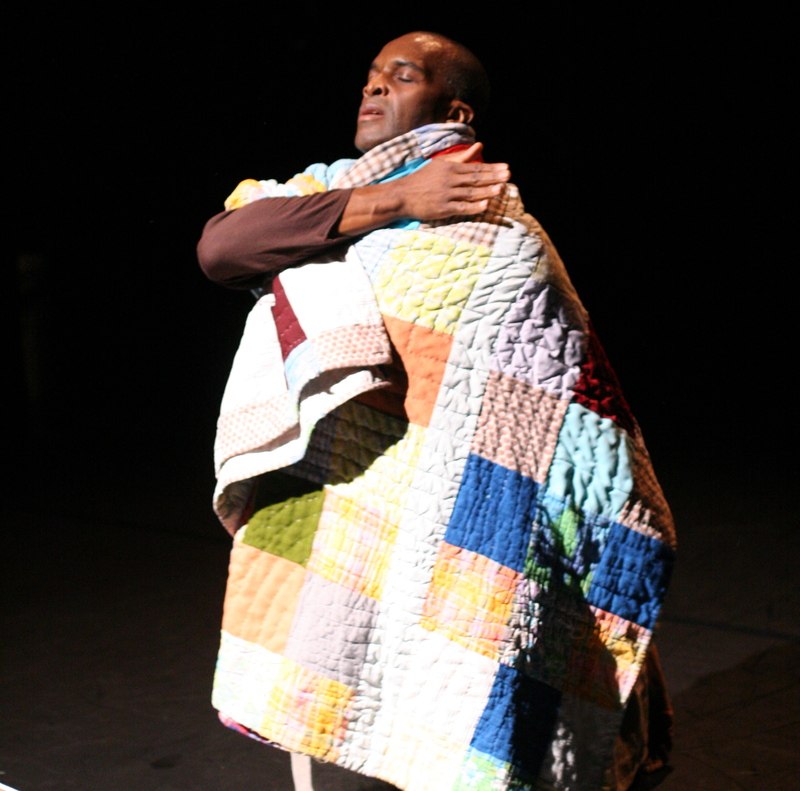 For the work "Witness", the award-winning choreographer contemplates acts of humanity in this deeply moving, multi-layered work, exploring simple truths in human behaviors and implied truths in human documents from the Pledge of Allegiance, Universal Declaration of Human Rights to the Ten Commandments. "Witness" considers the ideals we seek and the philosophers and humanitarians we attempt to follow. 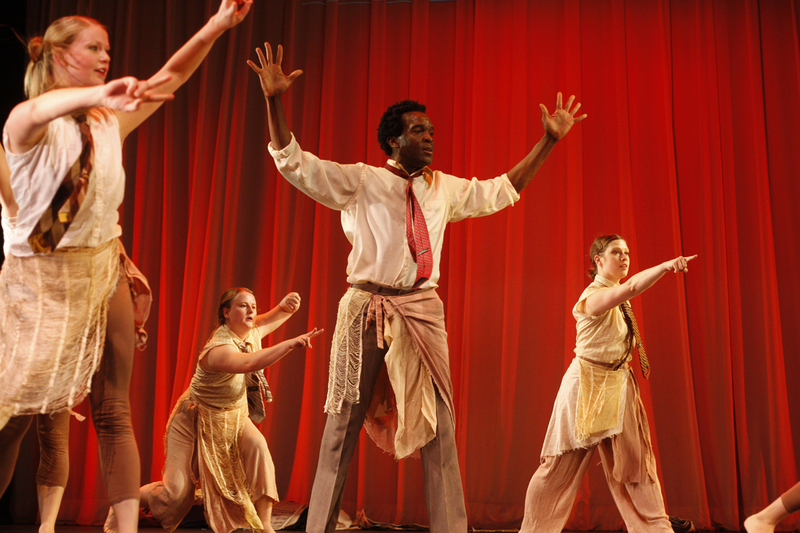 Witness was commissioned by the John F. Kennedy Center for the Performing Arts as part of 2008 Performing Arts for Everyone and the Millennium Stage. "Witness" John F. Kennedy Center for the Performing Arts Washington, DC "There is no doubt that Vincent E. Thomas is an ambitious choreographer. "(Washington Post). 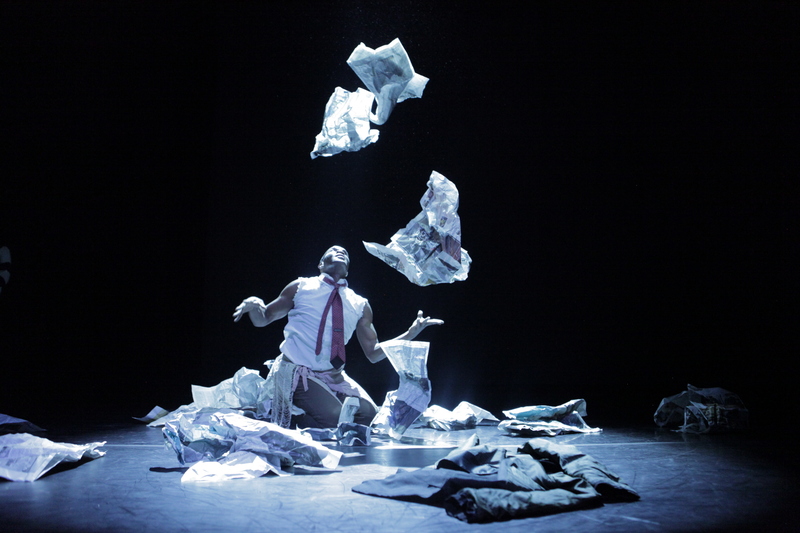 For his work, "Witness", the award-winning choreographer contemplates acts of humanity in this deeply moving, multi-layered work, exploring simple truths in human behaviors and implied truths in human documents from the Pledge of Allegiance to the Universal Declaration of Human Rights. "Witness" studies the ideals we seek and the philosophers and humanitarians we attempt to follow. Considering documents that govern our lives and inform our humanity, what do you pledge? P-O-L-I-T-I-C-A-L that is me... This is my pledge- your pledge- our pledge. This is who we are- from the self to the greater community...labels define, redefine, and challenge who we really are.